There’s no end to the rumors and gossip about female celebrities and whether or not they’ve had plastic surgery. But when it comes to men, the rumors are much less extensive, which may explain why it was easier for these male celebs to go under the radar when they went under the knife. Did you notice when these male celebs got plastic surgery? 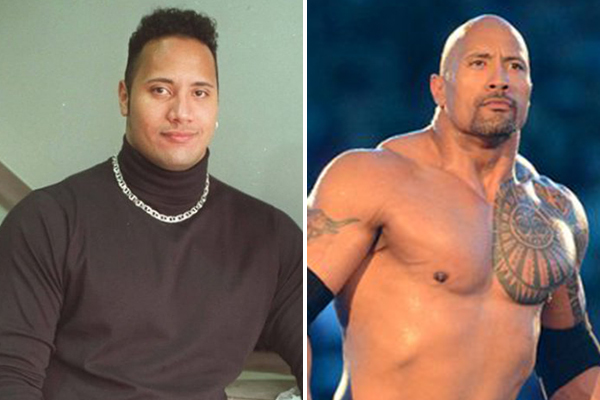 Dwayne Johnson does not look at all like he had plastic surgery, and that’s because his surgery did not involve his face at all. The muscled star actually had liposuction done on his chest. He suffered from a condition in which there was excess fat buildup on his chest. No amount of working out seemed to address the issue so he opted for liposuction.